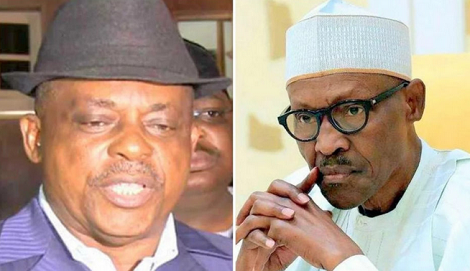 National Chairman of the Peoples Democratic Party (PDP), Uche Secondus, has reacted to Tuesday’s siege that prevented members of staff and lawmakers from accessing the National Assembly. He asked the United Kingdom (UK) to expel President Muhammadu Buhari, who he said, was hiding in that country to plan an assault on Nigeria’s democracy, adding that Britain should not allow anyone to turn that country into a haven of anti-democracy conspirators. Secondus pointed out that President Buhari left the country to UK for a 10-day medical leave to enable their plans against democracy to be executed in his absence. He alleged that the final plan for the invasion of National Assembly was sealed when the Senate minority leader, Godswill Akpabio, visited the President in London at the weekend.